Bring a pot of lightly salted water to a boil. Cook cauliflower in boiling water until soft, 15 to 20 minutes; drain and return cauliflower to the pot. Pour coconut milk over the cauliflower. 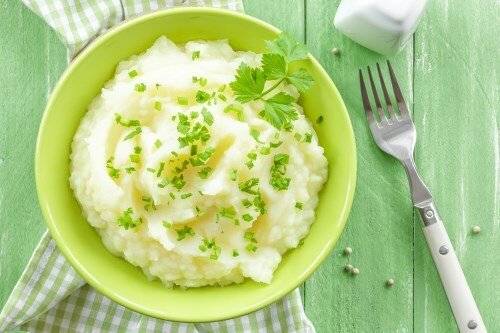 Blend cauliflower with an immersion blender until smooth; add garlic powder, onion powder, salt, and pepper. Stir to distribute spices.